Welcome to The Nelson HR Review! Our goal is to keep you informed and help you maintain compliance. Did you know that many employers are in hot water for not considering ADA when dealing with employee FMLA exhaustion? Don't let this happen to you. Please read below. Oftentimes employers are faced with the situation where employees were granted Family and Medical Leave Act (FMLA) leave to treat a serious health condition, which poses long-term restrictions and limitations. 12 weeks pass and the employee fails to return to work, therefore the employer terminates the employee under a “no-fault” attendance policy. Is the employer correct and free to terminate after granting the full 12-weeks allowed by FMLA? Maybe not, blanket termination policies can land employers in really hot water. By quickly terminating an employee who has exhausted his or her FMLA leave, the employer could be violating the American’s with Disabilities Act (ADA) by terminating the employee, if the individual’s serious health condition is also considered a disability under the ADA. If both laws apply, the employer may be required to provide additional leave, above and beyond FMLA leave, as a reasonable accommodation. 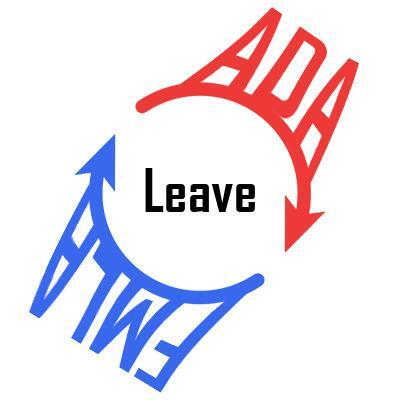 Even if the employer does have an appropriate absence termination policy, the company should look to the ADA law before deciding to terminate or administer other employment action(s) regarding employees with disabilities, which may have accommodation rights under the ADA. It may be in the employer’s best interest to agree to provide additional leave if an employee covered by FMLA also has and ADA covered disability for which such leave may be a reasonable accommodation. Need HR Help? Call HR Dispatch or visit www.hrdispatch.com! Do you n eed HR help with a project or need an HR temp, or a direct hire? We have the best, experienced, qualified HR personnel available and can match up our candidates with your goals, objectives, culture, and needs. Call us today at (877) 356-6175 for HR Dispatch services. www.hrdispatch.com.